Part 1 of this interview already introduced you to Eva Schreiner, a very interesting and adventurous woman from Constance, Germany. Eva and I met while waiting for the bus to Salerno at the Naples airport. 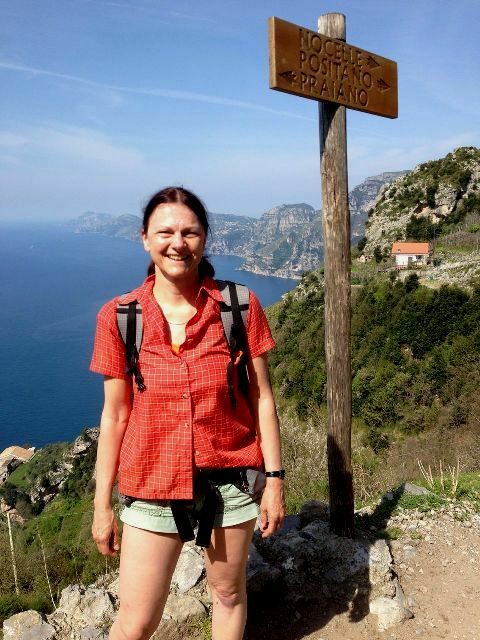 Over the years, Eva has made amazing experiences going camping with her husband around different parts of Europe and recently she has also started going on hiking trips by herself. Continue reading about her adventures and how solo travel has profoundly affected her life and personal development. 1. Most recently, you travelled to Campania, the region around Salerno, Sorrento and Naples to do one week of hiking by yourself. Please give us a brief synopsis of that trip. 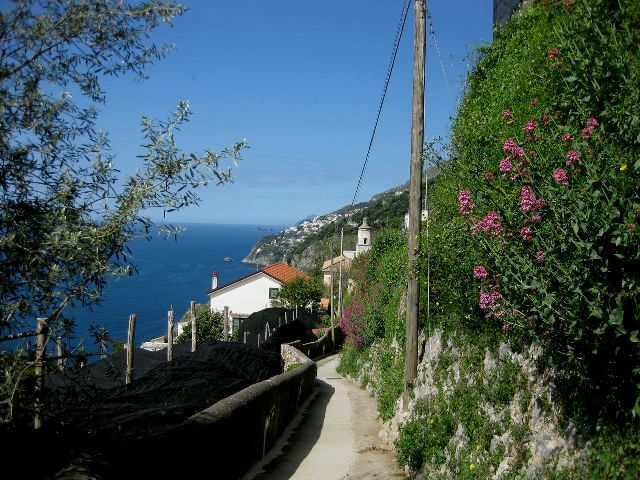 In April I went on a one-week hiking tour along the Amalfi Coast from Salerno to Positano and then across the mountains to the Golf of Naples. This solo travel tour was the first time I went hiking alone for a week. Before starting I got information on the internet, ordered maps directly in Italy, planned the tour and booked accommodation in advance. 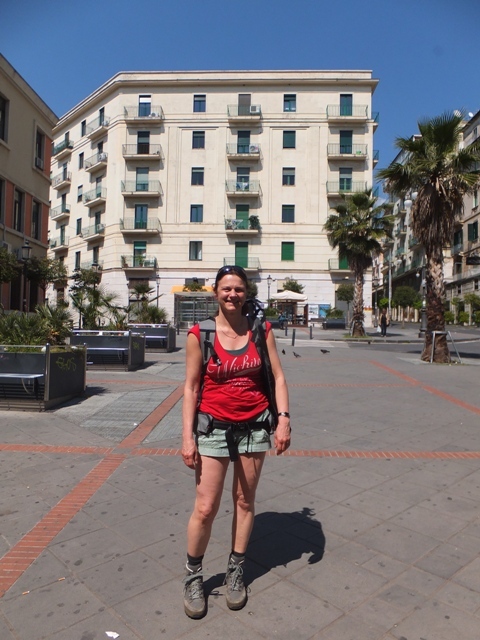 I flew to Naples, took the bus to Salerno and started hiking right away from the bus stop with an ultra-light backpack carrying a weight of about 13 kg. On the first day I only covered the short trip from Salerno to Vietri sul Mare where I spent the first night. The next day was already a great challenge for me. The main part of my way was leading through mountains and forest almost without any signs and sometimes very difficult to find and I only met very few people. I got lost but after some time found the right path again. I passed the old monastery “Santuario dell’Avocata” and in the evening reached the nice small village of Maiori at the coast. This adventurous day and the successful handling of difficulties as they arose increased my self-confidence a lot. 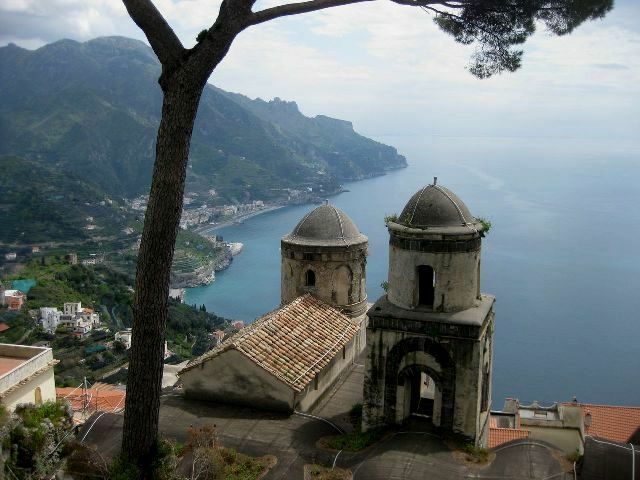 During the following days my tour led me through the main attractions at the Amalfi Coast: Amalfi, with its beautiful cathedral, Ravello with Villa Rufolo and Villa Cimbrone and the deep Furore fjord. I walked the whole distance with many stairways, managing great differences in altitude, and admired the amazing landscape. 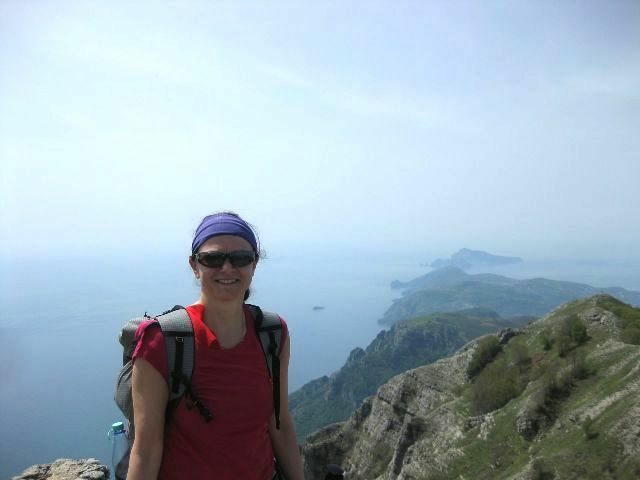 A highlight of my tour was hiking on the “Path of the Gods” (Sentiero degli dei) from Bomerano/Agerola to Montepertuso, starting 635 meters above sea level with a spectacular view of the coast and landscape that stretched to the Island of Capri. I would like to recommend two nice accommodations, both welcoming you with great hospitality: one in Bomerano, starting point of the Path of the Gods, B&B Divina Costiera (www.divina-costiera.it) with excellent breakfast and dinner with homemade local specialities. The other one is at the end of the path at Montepertuso with a wonderful terrace and a magnificent view of the sea; B&B Le Ghiande (www.leghiande.com). At the end of my trip I crossed the “Monti Lattari” mountains and climbed the top of “Monte San Michele” (1.444m) with a panoramic view all around on the Golf of Naples all the way to Mount Vesuvius, Capri, the Golf of Salerno and the mountains. On the last day I descended to the Golf of Naples via Vico Equense where I took the bus to the airport of Naples for my flight back. I met many interesting people from all over the world and it was a great adventure and experience for me. 2. What are your 3 favourite or most memorable travel experiences? This question is really difficult to answer. Very important was travelling to France to the Côte d’Azur at the age of 16 to attend a language school for 4 weeks while living with a French family. At that time I fell in love with French language and French people and when I travel to France it feels always a little bit like coming home. A second very memorable journey was travelling alone to Italy two years ago. I attended a Yoga course in a very rural setting near Urbino (Marche/Italy). Everything was so impressive that I continued practicing Yoga with a very positive influence on my life. 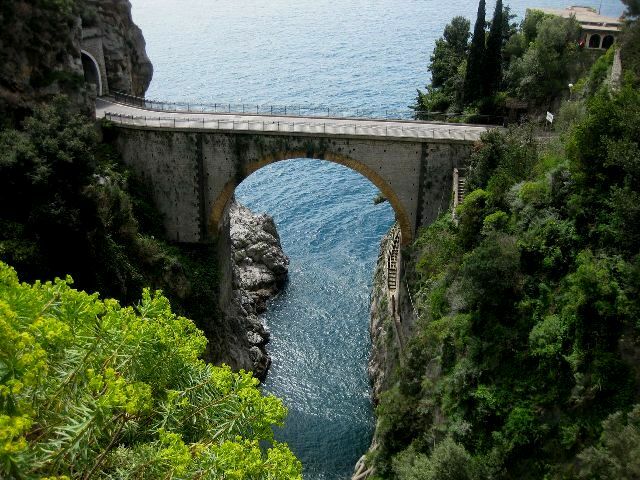 Also the above mentioned trip to the Amalfi Coast is one of my favorites as it was a real adventure. I am proud of this trip and treasure the many intensive memories. 3. How has travel, particularly solo travel, contributed to your own personal development? When travelling alone you find out what is really important for you, what makes you feel good and the things you miss. You learn to know your abilities as well as your limits when you have to rely only on yourself. You cannot share responsibility or discuss things. You have to decide yourself. And you find out very clearly what is difficult for you and how to deal with such situations. Especially when hiking alone you get more aware of your surroundings, the flowers, the colors, little things on your way. You see everything more intensely as you are not distracted by another person. If you are open, but not careless, you can meet a lot of interesting people, which is quite different from travelling as a couple or with a group. I myself learned to find out what is really good for me, what I need to feel good. I am proud to be able to travel alone and this gives me enough self-confidence and self-consciousness to try things I have not done before and to also accept difficult situations as a challenge or an adventure to handle. This experience helps me a lot in every-day life. 4. What would you say to other women who listen to your travel stories but feel they don’t have the courage to try solo travel? I would recommend them to start with small steps following the motto “every journey starts with a first small step”. Try to travel for one day only, to a place you have not been before but you would like to see (it can be quite close to where you live). Choose a means of transport you are not really used to (walking, go by bike, train, bus, car etc.). Think about what you can do there (visit a museum, hiking, biking, shopping, having a meal, taking pictures, etc.). The most important thing is to enjoy this day and to learn to enjoy travelling alone and to explore something unknown. If it feels strange, you should ask yourself what you can do the next time to improve, what is missing so that you can enjoy this kind of experience more. Then you repeat such one-day-travel adventures, finally try it for two days with an overnight stay and so on. You will learn to judge your own abilities. Be careful but not anxious. It is important to have information before travelling but do not plan every detail, so you are able to accept changing situations. You should be open and curious, just watch how you feel without expecting anything. After some time you will be proud of yourself and feel great. 5. You just returned from a trip to Sardinia. Please tell us about this experience. Inspired by my trip to Costa Amalfitana we decided to travel along the west coast of Sardinia for 5 days to see the splendid nature and to get more in touch with Italian life and then to stay on a campsite in the south for the rest of our holiday. From Italy we took the night ferry leaving Livorno at midnight and arriving in Olbia/Sardinia in the morning. Fortunately the sea was quite calm und despite a very loud TV we were able to sleep a little bit in our sleeping bags on benches in the ferry’s cafeteria. First day we travelled to Alghero, situated in the northern part of Sardinia’s west coast. There’s a nice campsite at the sea near the city center. We rented two bikes and started visiting Alghero in the afternoon. 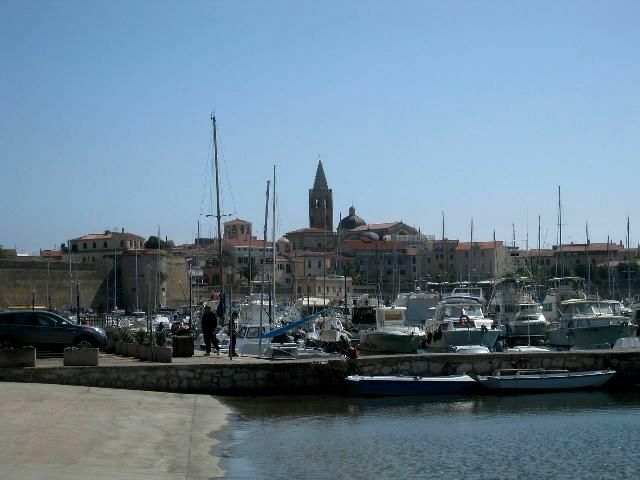 Alghero is said to be one of the most beautiful cities of Italy, not really typically Sardinian but influenced by nearly 400 years of Spanish occupation. It’s very nice to have a walk on the old city wall which separates Alghero from the sea with towers and nice restaurants. Sitting there with an aperitivo seeing the sun go down is just such an amazingly memorable experience. 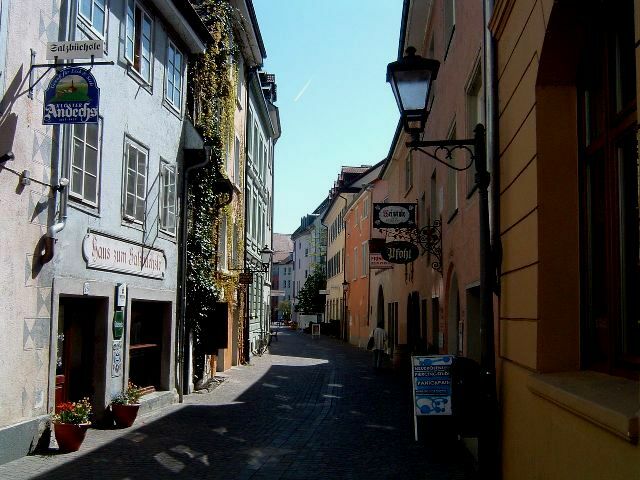 You can also walk among the narrow alleys with their small shops and visit historic cathedrals and churches. The next day we followed the west coast down to the south to the nice medieval village of Bosa with a palm-fringed promenade that overlooks the fishing boats on the Temo River, the only Sardinian river which is navigable for about 5 km from its estuary. In the historical center you can walk along narrow alleys, long stairways, arches and colorfully painted small houses through the picturesque quarter “Sa Costa” on the hillside of the old castle “Castello Malspina”. The castle has been renovated for many years and you can walk around it on the fortress wall with a breathtaking view of the green plain below with the Temo River winding to the sea. In the afternoon we continued south to the marvellous sandy beach area of “Is Arenas” where we found a really nice campsite within a pine forest just behind the dunes. The next day we travelled to “Costa Verde”, a still mostly pristine area with endless white dunes, knobby juniper trees and green pines – a landscape full of vastness and isolation. 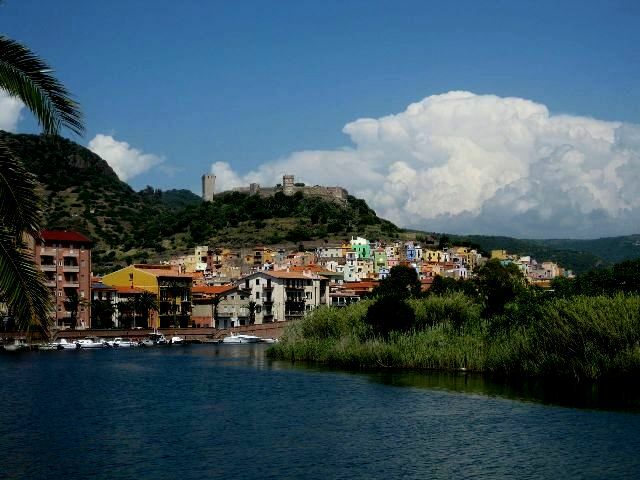 It is one of the most ecologically special areas of Italy. You can find sea turtles which use the lonely beaches to lay their eggs and the rare Sardinian deer still lives there in herds. As there was no campsite available in this region we spent the night in the very recommendable agriturismo “Rocce Bianche” http://www.bidderdi.it/ing/index.php with nice apartments, a pool, delicious traditional Sardinian food and international guests. 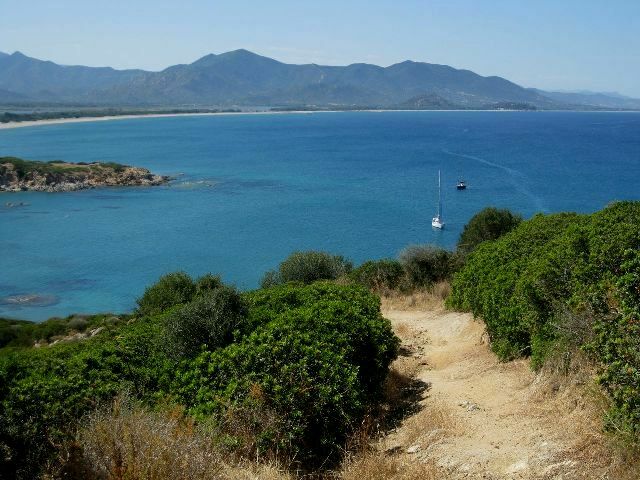 Travelling the next day further along the coast we passed Buggeru, Masua and Nebida and arrived in the afternoon in the very south of Sardinia in Chia with a campsite just a few meters away from the sea. We climbed to the “Torre di Chia” with a beautiful view of the coastline and enjoyed a nice sandy beach and the sea nearby. The next day we passed the capital Cagliari and came to our last site, the campsite “4 Mori” near Muravera, in the southeast. There we spent the rest of our holidays, relaxing, enjoying Italian food, sun and the sea. We made small trips to “Costa Rei” with white sandy beaches and turquoise water and we went hiking and climbed the tower of “Capo Ferrato”. I am sure this was not our last stay in Sardinia. 6. What’s in store for Eva in the near future? Future travel ideas include travelling with a camper to Normandie and Bretagne in France. 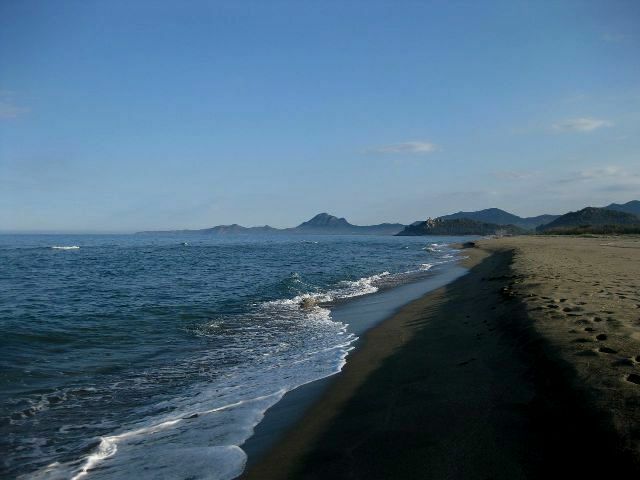 Also in store is to fly to Sicily/Italy, rent a car, explore the island and stay in bed & breakfasts or agriturismos. A project for the coming years is to participate in “Fjällräven Classic” (http://www.fjallraven.com/outdoor-life/fjallraven-classic/), an international hiking event near Kiruna/North of Sweden, which takes place every summer. You have to walk a distance of 110 km, following a hiking path and carrying your whole equipment like tent, sleeping bag, food etc.